SAN FRANCISCO, California, May 2, 2013 (ENS) – General Motors is the first automaker among 40 U.S. corporations to sign a new climate declaration, asserting that responding to climate change is good business. The campaign is organized by the sustainable business advocacy group Ceres and its Business for Innovative Climate & Energy Policy, or BICEP, coalition. Originally launched in April 2013 with the endorsement of 33 corporations, the Climate Declaration has now been signed by 40 businesses that in total provide some 550,000 U.S. jobs and generate a combined annual revenue of roughly US$611 billion. 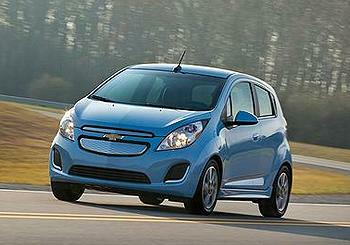 GM’s participation was announced Wednesday in San Francisco at the Ceres annual conference. GM has worked with Ceres for more than 20 years to refine its sustainability strategies and performance. Signers of the declaration are calling for policymakers to address climate change by promoting clean energy, boosting efficiency and limiting carbon emissions. GM says these are strategies the company already employs within its operations as it seeks to reduce the environmental impact of manufacturing vehicles, many of them fuel efficient. “We want to be a change agent in the auto industry,” said Mike Robinson, GM vice president of sustainability and global regulatory affairs. Robinson spoke at a session on “Sustainable Transportation: The Future of Urban Mobility” that addressed the question of What it will take to achieve more efficient transport and better urban infrastructure by the time 2030 rolls around and 60 percent of the world’s population lives in urban areas. Gallup and Yale University polls, respectively, show that a majority of Americans believe climate change is, in fact, happening and that corporations, as well as government officials, should be doing more to avert unpleasant consequences. In March, General Motors CEO Dan Akerson called on President Barack Obama to appoint a Blue Ribbon Commission to develop a 30-year policy framework for energy security. The company says this action is aligned with its environmental commitment. GM has just been recognized with the American Carbon Registry’s Corporate Excellence Award for commitment to reducing its carbon footprint and mitigating climate impact. In addition, GM has earned an ENERGY STAR Partner of the Year Award for Sustained Excellence, the federal government’s highest recognition for corporate energy management. Worldwide, GM is working toward a goal of reducing energy intensity from its facilities 20 percent by 2020. GM has 54 facilities that meet the voluntary ENERGY STAR Challenge for Industry, which requires facilities to reduce energy intensity by 10 percent within five years. The GM facilities cut energy intensity by an average of 26 percent within just two to three years, saving the company $90 million in energy costs. 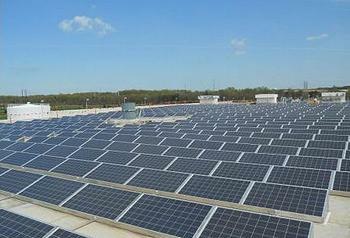 The company is the top automotive user of solar power in the United States, according to the Solar Energy Industries Association and hosts two of the five largest rooftop solar arrays in the world. Beyond building fuel-efficient vehicles, GM is investing up to $40 million in the Chevrolet Carbon Reduction Initiative, in which Chevy helps financially in community-based carbon-reduction projects throughout the United States with a goal of reducing up to 8 million metric tons of CO2 emissions. GM, its subsidiaries and joint venture entities sell vehicles under the Chevrolet, Cadillac, Baojun, Buick, GMC, Holden, Isuzu, Jiefang, Opel, Vauxhall and Wuling brands.